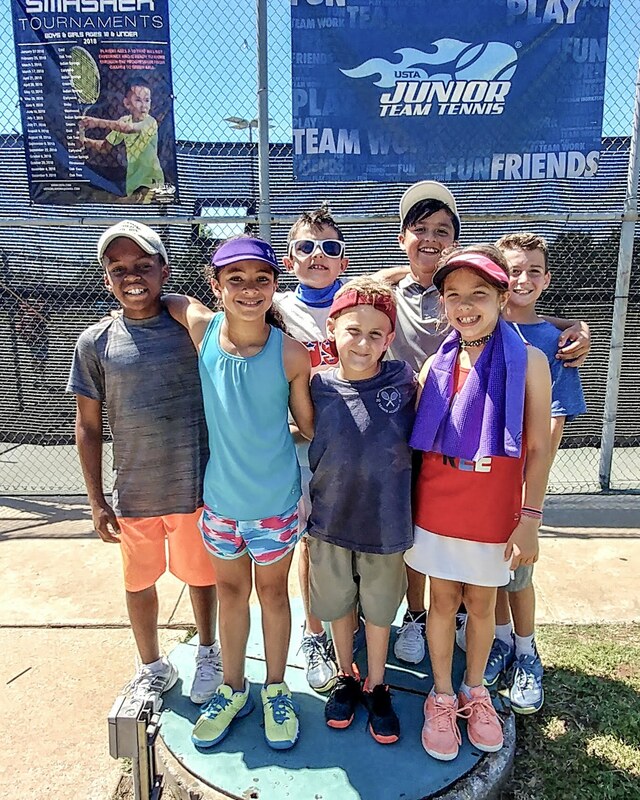 Our 10U competitive players make up our Cheetah’s Junior Team Tennis team. They play JTT in both Spring and Summer leagues. Tuesday afternoon we had a welcome party for our newest additions to the Cheetahs JTT squad! 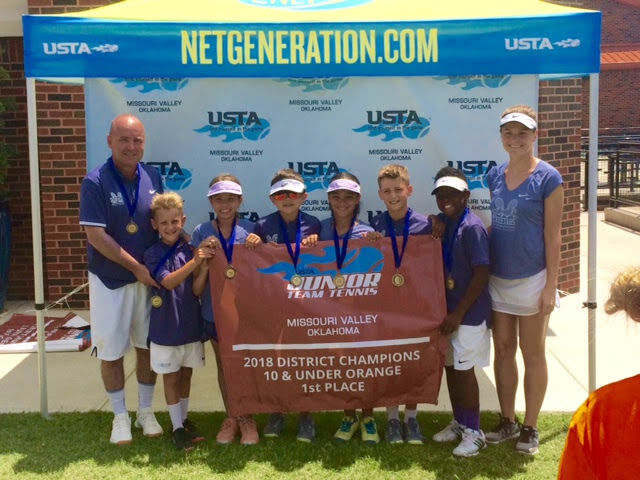 The past two years the Cheetahs have accomplished so much in winning three JTT City Championships and then, this past summer, winning the USTA JTT State Championship at LaFortune Tennis Center. Several of the kids from the team have now advanced to Green Ball play and we are so proud of them. At the same time, we are beyond excited to welcome our new teammmates! Braver Reineke, Alma and Andrea Mendoza, Hayden Shriner, and Audrey Bohnstedt have been participating with the BCC Tennis Academy in one or more of our programs for some time now. Our coaches have recognized their hard work, commitment, and over-the-top great attitudes. As a result, our coaches extended the invitation to them to become a Cheetah. They and their families have made the commitment and now they’ve begun putting in the work. Congratulations to each of the kids and their families! We are so proud of you! The Junior Te am Tennis season came to an end this past week at the LaFortune Tennis Center in Tulsa with the USTA Oklahoma District Championships. After an undefeated Summer season, and another City Championship, the BCC Cheetahs traveled to Tulsa to compete against the Oklahoma City Tennis Center as well as the two top Tulsa teams, RH91 and Indian Springs. After two hot days of round robin competition the Cheetahs brought home the State Championship defeating the 2nd Place Indian Springs 10U team with 92 total games to 72 total games. The kids and coaches of the BCC Tennis Academy are so proud of our Cheetah team and all of the hard work they’ve put in throughout the year. They will continue to practice and compete this summer in individual tournaments to prepare for next Fall’s Junior Team Tennis season. John Paul Dillon, team captain, is the only player who will age up to the 12s for next season. Kadence Williams, Taytum Jones, Kellen and Macy Hays, (all 9 yr olds) and Grey Dillon (7 yrs old) will all return for next season. In addition to these players we will gain new players in Braver Reineke, Alma and Andrea Mendoza, and Yuri Mendoza. Exciting things are happening with the players of the BCC Tennis Academy! 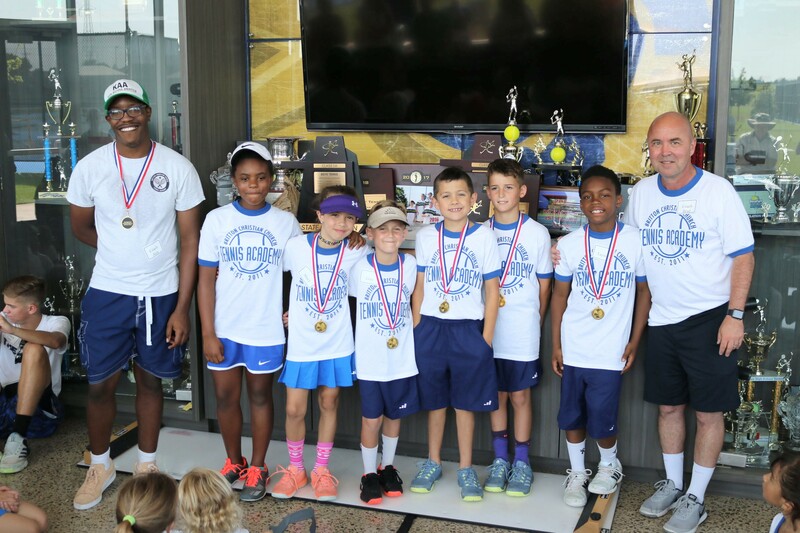 The BCCTA Cheetahs won their 3rd straight 10U Team Tennis City Championship on June 29 at the OKC Tennis City! With the win the Cheetahs ran their winning streak to 14 matches. All of the players came ready to play and worked incredibly hard for every point. Up next for the Cheetahs will be a trip to Tulsa for the USTA Team Tennis State Championship at LaFortune Tennis Center. The top 4 teams in the state will compete over two days to see who will win the State Championship. Good luck to all of our players and coaches. It was a great day for the BCC Tennis Academy as seven of our 10U tournament players battled the heat at the Earlywine Memorial Day Smasher’s Tournament. Today marked the beginning of a busy Summer schedule for our kids. We had two 1st place (Javier Vasquez and John Paul Dillon,) two 2nd place (Kadence Williams and Kellen Hays,) and one 3rd place (Grey Dillon) finishers! We are so proud of all of our kids! We are proud of the progress each of our kids are making on the court, but we’re even more proud of the way they support one another at all times. When one of our kids wasn’t on the court playing they were sitting in the bleachers watching and cheering on one of their buddies. At the BCC Tennis Academy our goal is to teach kids to “Love God. Make Friends. Play Tennis!” Every one of you are champions on the court and off!